I'm not much of a collector, but I know many people do enjoy collecting all sorts of interesting things. 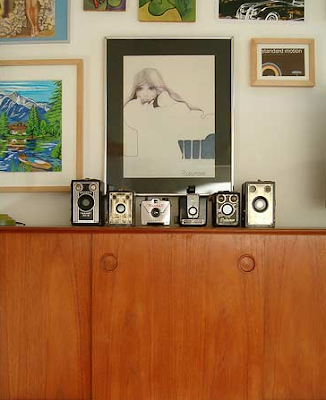 The tricky part of owning a collection is displaying it properly...you want to showcase your beloved finds tastefully and avoid the dust-covered, junky, tchotchke look that makes me cringe! 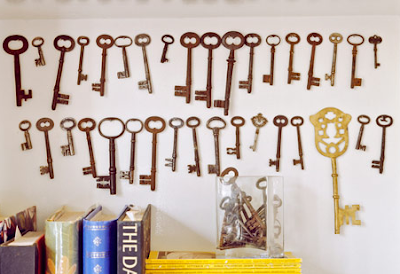 Here are some great ideas on how to show what you've got with charm and style. 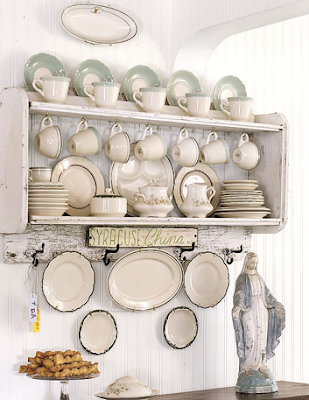 Love plate collections displayed on the wall! 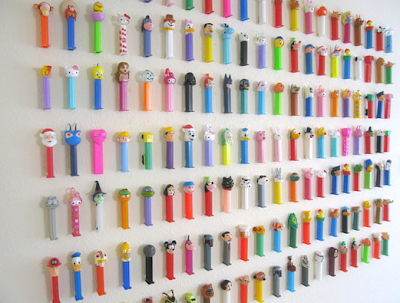 Pez dispensers - who knew they could make such a lovely art wall! 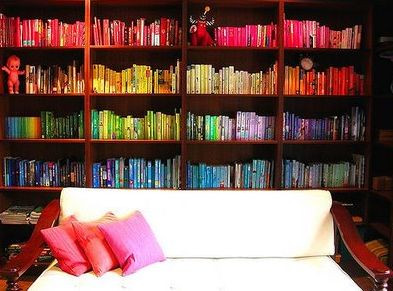 Arrange your books in order by color! 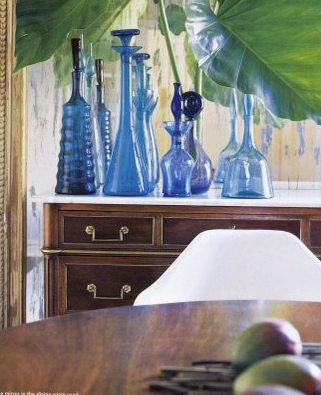 Display a collection of your favorite glass vases on your dresser or buffet in the dining room...mix it up with different colors. I'm not really a collector either but these pictures sure make it look good and stylish. Love these images! 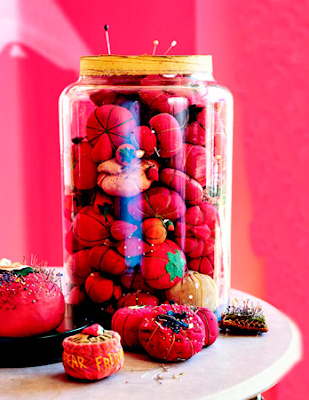 I admire people who collect one thing very passionately. That plate collection on the wall is beautiful! 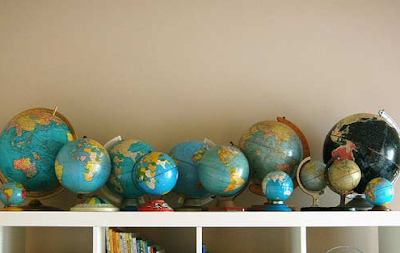 i love the look of those globes. i too am not a collector, guess there's not alot of any one thing i feel the need to have alot of but if i did it might be those old fashioned cameras. i have an old polaroid that i love. thanks for the great ideas! I'm not a collector either; the only exception is my small umbrella collection which I proudly display on the wall in my hallway. These photos make me want to become a serious collector though. I can't even tell which picture I love the most. Great post!! 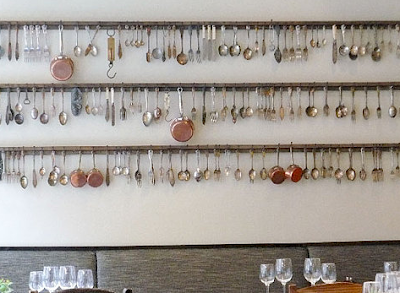 Ohh I love the spoon collection! 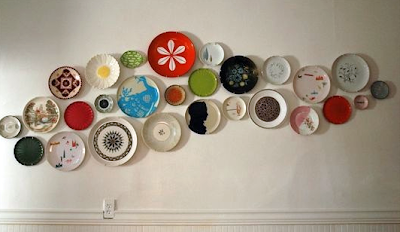 I adore that wall of plates; I have one friend who actually replicated it. 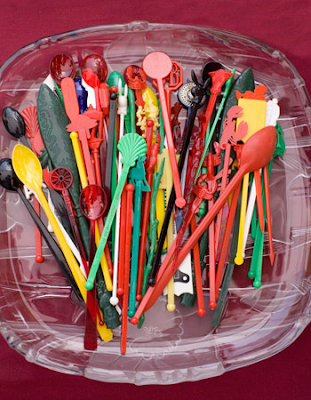 I love the spoon collection - I have to confess that I went home and raided all of my cabinets, drawers and hidey holes (oh...and my mom's house!!!) for spoons to hang in my kitchen!!! you have a great eye - and fantastic blog!!! i'm not a collector, but this post may have changed my mind. really beautiful. Love the arrange books by color idea!! i love the way those books look :D great post!